The countdown to Halloween has begun, and it’s time to start planning your costumes! My husband and I have always enjoyed dressing up together, and each year we have fun cracking each other up with our silly DIY costumes. We both love to come up with costume ideas together and then go Goodwill hunting at our local stores to find the pieces to make our costumes just right! 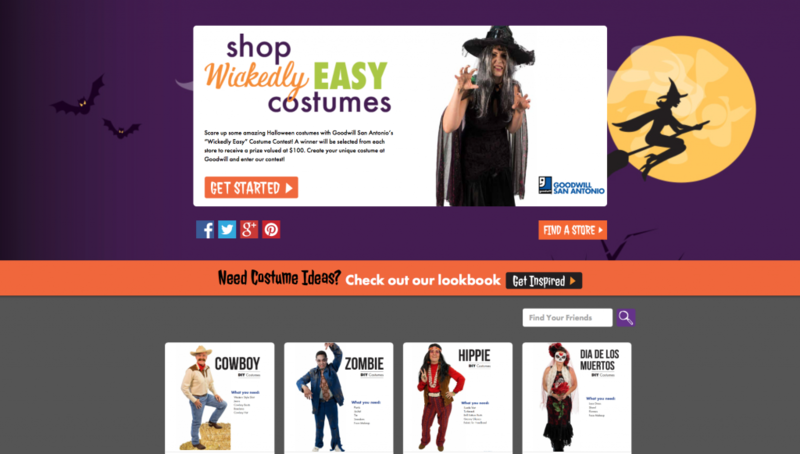 We’ve starting brainstorming for this year’s costumes, and a site that has been helpful for coming up with ideas is Goodwill San Antonio’s halloween page. The site offers a LOT of great ideas for family friendly costumes that you can make yourself with Goodwill finds. The Goodwill site not only gives you ideas, it also includes a shopping list of items you will need to complete the look. 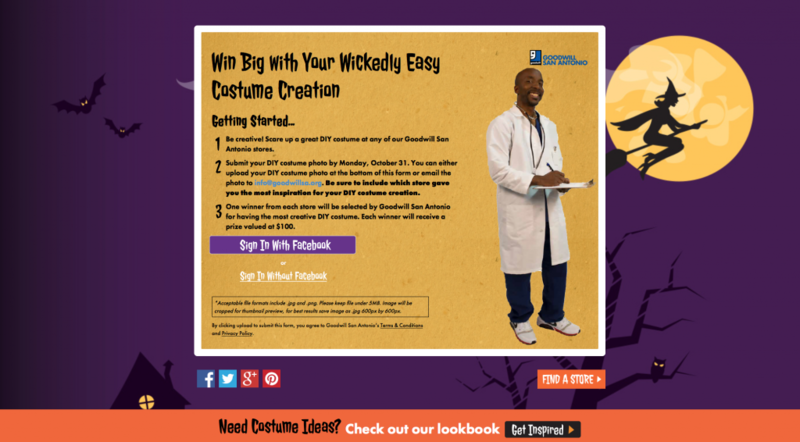 On top of that, Goodwill San Antonio is giving away $100 prizes for entries in their Halloween costume contest! Click here to learn more. 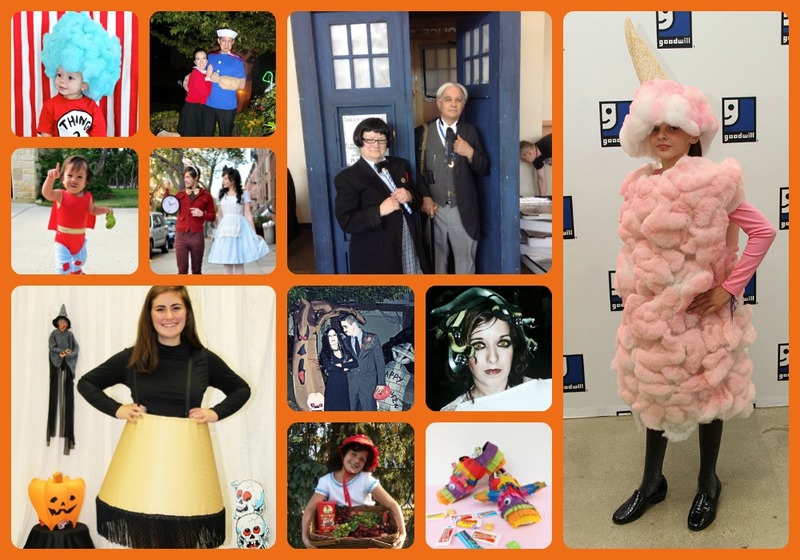 To help you get an edge on the competition so you can *hopefully* win the $100 prize from Goodwill for the best handmade thrifted costume, I’ve rounded up some DIY costumes ideas for you. Several of these are my past costumes, and others are some of my favorites from the internet. Next articleCraft with Me at the Home and Garden Show!